Yes, that’s right. 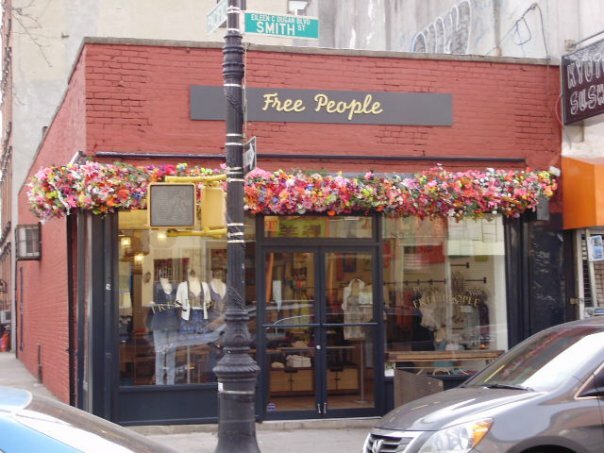 Free People was so popular in our little store in Brooklyn that we will be turning over our inventory, and on January 20th officially re- open as a Free People store. 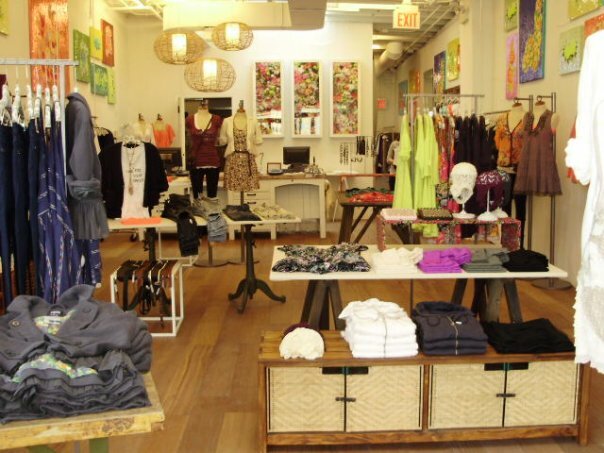 While we all loved our little concept on Smith Street, the time is come for change… as we all know. So FP it is. In the meantime “We the Free BROOKLYN” the blog will also be on a little vacation. So please stay tuned in the future… but for now you’ll have to hear about hot things in Brooklyn via the typical Free Williamsburg or Gawker. Amazing Sale Items At “We The Free”!! Check out these amazing sale items!!! Perfect for underneath your tree!! 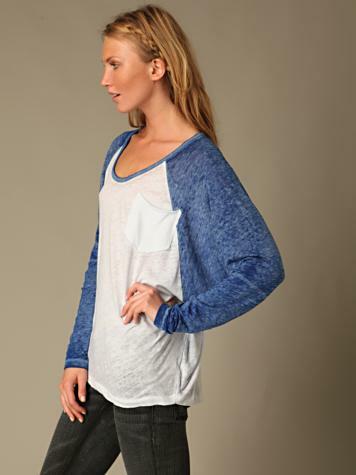 WTF Cashmere BaseBall Raglan: Was-$168, Now-$69.95!! 100% Cashmere! Comes also in Wht/Yel! WTF Oversized Drapey Top: Was-$68, Now-$39.95! Also in Blue! 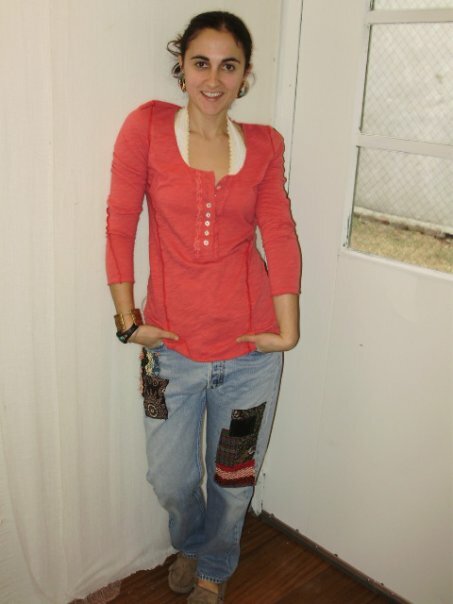 Freecycle Scarf Tee: Was-$98, Now-$49.95! These are all one-of- a-kind! No two are the same! WTF Mesh Top: Was-$68, Now-$39.95! Also in Pnk and Gry! 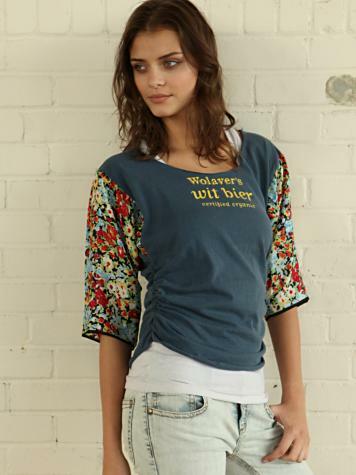 Great for layering! 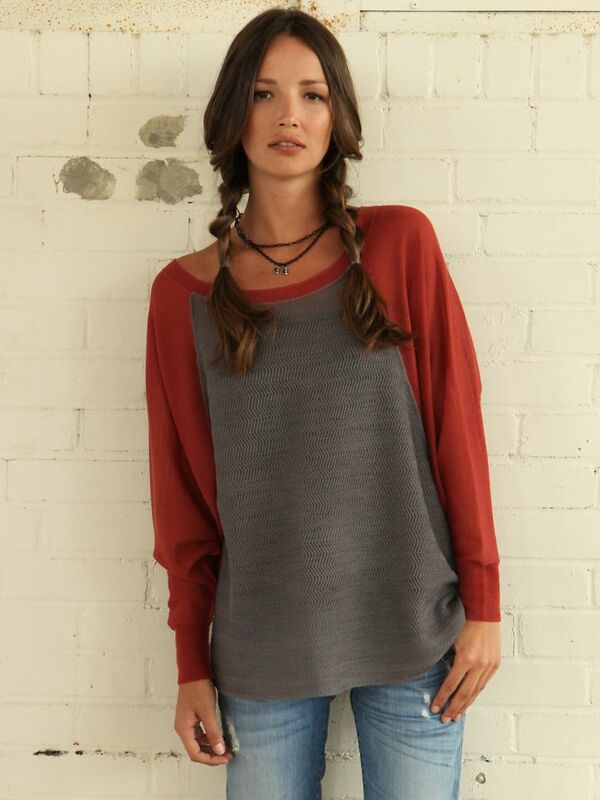 WTF SS Raglan Top: Was-$68, Now-$39.95! Also in Blk/Pnk! WTF Tie Shirt Dress: Was-$128, Now-$69.95! Employee Pick! Also comes in Blue! Fits every shape! Call us for any questions (718) 250-0050 or come by and we’d be happy to help you!! Remember, if you need any of these items shipped (which, by the way are great presents! :)) it’s free!!! We get real paid here at We the Free, Brooklyn. Check out what we get serious bones to do. Cat gets real paid to stuff stockings. Buy her entire outfit for $110! Novak gets real paid to hang holiday lights. Buy her entire outfit for $120! 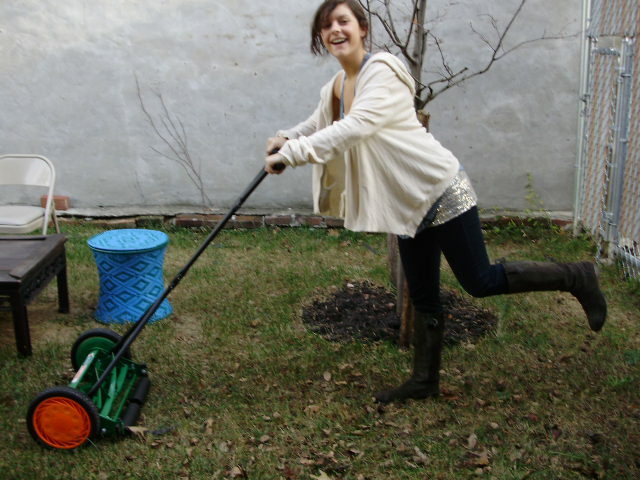 Shannon really likes mowing the lawn, so we don't get her real paid for it. She's wearing the WTF Cozy Zip Up Jacket. Cat gets real paid to hang out with Milo the WTF store mascot. 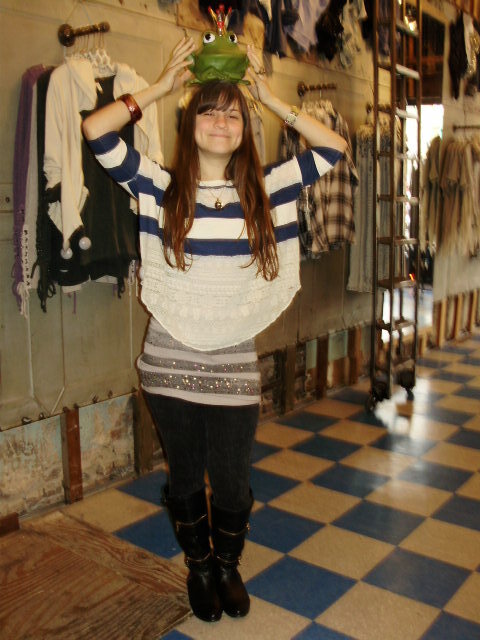 She's wearing the WTF Studded Tank, WTF Lace Rows Top and Noblita jeans. Milo is wearing green and a bejeweled crown from his family dowry. 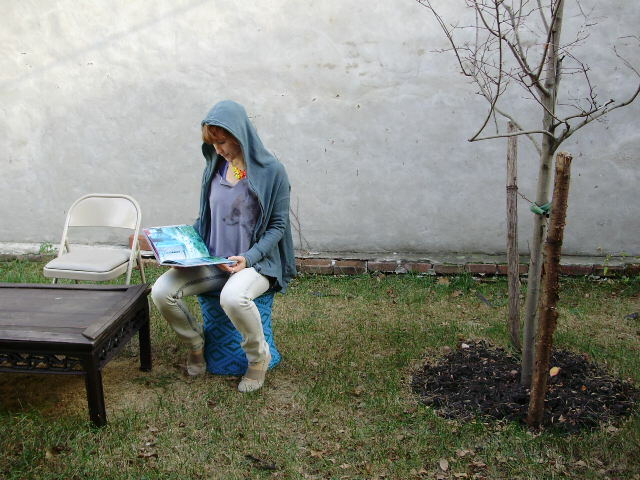 Novak gets real paid to read awesome books in the WTF backyard. She's wearing the WTF Cozy Zip Up Jacket, FP Super Skinny Jeans and the WTF Americana Crop Top. 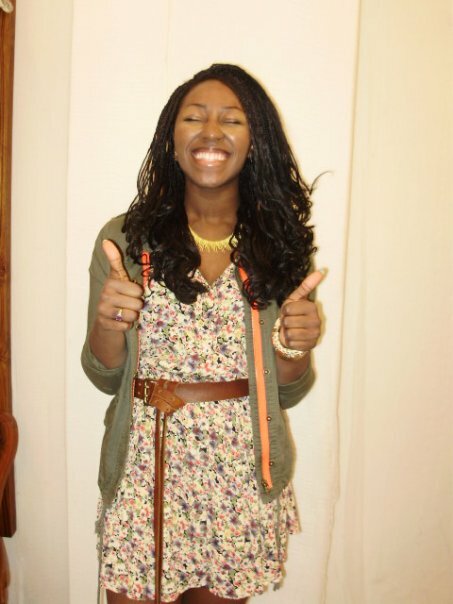 Shannon gets real paid to check out what's new on the We the Free Brooklyn Blog! (That's what you're doing right now). You can buy her entire outfit for $80! Come hang out with us and check out We the Free! Holiday Sale. We the Free is just the place to shop! We’ve done it for you. Just in time for the holidays!! We the Free Wool Officer Blazer. Was $168 NOW $69.95! We the Free Extreme Raglan. Only a couple left! Was $78 NOW $29.95! We the Free Drip Hem Top. White only. Was $78 NOW $29.95! We the Free Drapey Dress. Also comes in purple. Was $98 NOW $49.95! We the Free House Dress. Was $98 NOW $49.95! We the Free Americana Tank. Was $58 NOW $19.95! 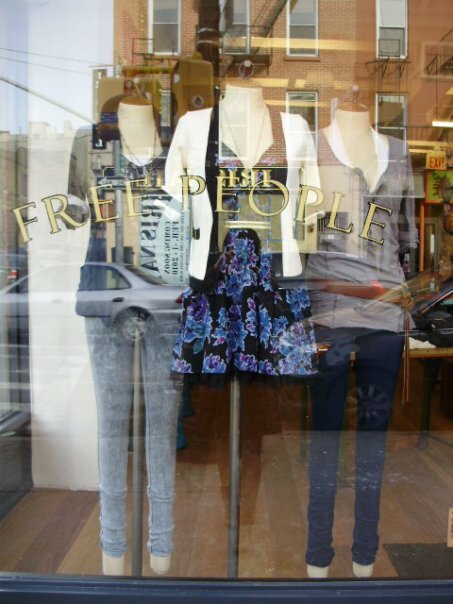 Free People Pointelle Pullover. Also comes in cream. Was $98 NOW $49.95! We the Free Deep Align Tee. Was $68 NOW $39.95! We the Free Americana Turtle Neck. Was $68 NOW $29.95! We the Free Baseball Raglan. Also comes in blue. Was $128 NOW $69.95! We the Free Sweater Jacket. Was $148 NOW $69.95! We the Free Yoke Tee. Also comes in grey and white. Was $68 NOW $39.95! 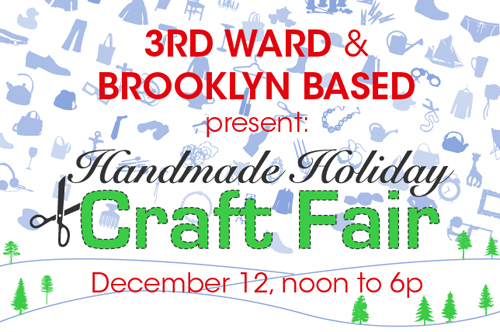 Call us for charge sends at 1- 718- 250- 0050 or drop by 113 Smith STreet to purchase.